Hi friends, have you finished decorating for the holidays or are you still searching for ideas to get started? I just finished a home tour featuring my dining room with a woodland theme. If you are searching for holiday decorating ideas, head on over and check out my dining room. There are tips on how to prepare your home for the holidays as well as some beautiful home tours. Today I'm sharing a lickety-split project that you can make in 5 minutes! 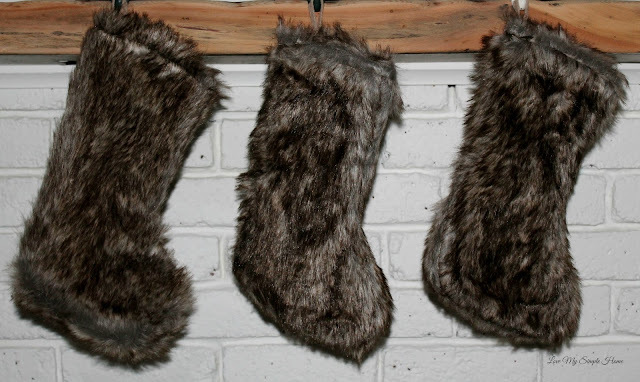 I purchased three stockings at Target to go with my woodland theme and gave them a budget-friendly makeover using trim from two Santa hats. 1. Cut the trim off both of the hats, then measure the width of the stocking and cut the trim to fit. Here is the trim that I cut off of the first hat, along with a few pom-poms I made. 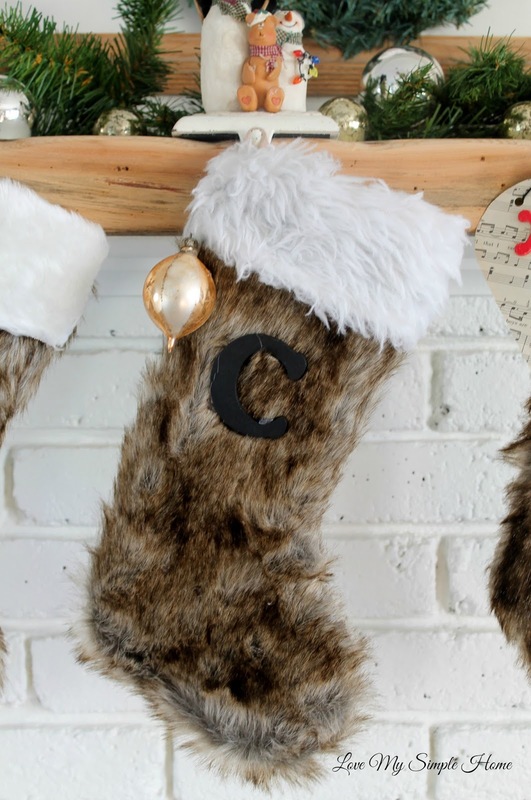 You can personalize the stockings with letters and ornaments. 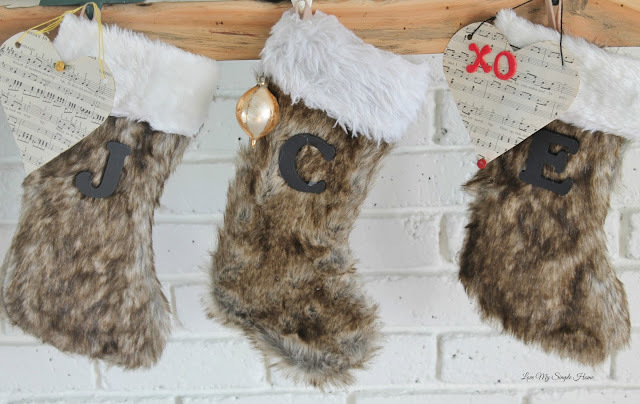 I hung ornaments from each stocking and glued our initials on them.